For those curious to see the legend we named Boyles Asset Management after, see THIS video (it starts at the 6:05 mark). For decades now, I’ve regularly detailed the historical evidence linking equity valuations to actual subsequent long-term returns in stocks. An important feature of historically reliable measures of valuation is that they mute the impact of cyclical fluctuations in profit margins. Current earnings – or analyst estimates of expected “forward” earnings – should not be taken at face value, because profit margins are not permanent. The most reliable measures of broad market valuation are actually driven by revenues, not earnings. For a review, including the arithmetic linking valuations to actual subsequent market returns, see Ockham’s Razor and the Market Cycle and Margins, Multiples, and The Iron Law of Valuation. It’s sometimes argued that the long-term expected return on stocks is simply the expected long-term growth rate of earnings, dividends and the like, plus the prevailing dividend yield. While this would be true if valuations were held constant for all of eternity, the fact is that elevated and depressed valuations tend to normalize over time, which investors know as “mean reversion.” As a result, higher valuations are systematically related to lower subsequent long-term market returns, and lower valuations are systematically related to higher subsequent long-term market returns. He said people who were right a lot of the time were people who often changed their minds. He doesn’t think consistency of thought is a particularly positive trait. It’s perfectly healthy — encouraged, even — to have an idea tomorrow that contradicted your idea today. What trait signified someone who was wrong a lot of the time? Someone obsessed with details that only support one point of view. If someone can’t climb out of the details, and see the bigger picture from multiple angles, they’re often wrong most of the time. Pay attention to mistakes of omission, but don't suffer over them. "The most extreme mistakes in Berkshire’s history have been mistakes of omission. We saw it, but didn’t act on it. They’re huge mistakes — we’ve lost billions. And we keep doing it. We’re getting better at it. We never get over it. There are two types of mistakes [of omission]: 1) doing nothing; what Warren calls “sucking my thumb” and 2) buying with an eyedropper things we should be buying a lot of." "It’s important to review your past stupidities so you are less likely to repeat them, but I’m not gnashing my teeth over it or suffering or enduring it. I regard it as perfectly normal to fail and make bad decisions." LOOK AT ALL THE MONEY I’VE LOST: I DIDN’T BUY IT! We’d all be much richer today if we’d put all our money into Crown, Cork, and Seal at 50 cents a share (split-adjusted)! But now that you know this, open your wallet and check your latest bank statement. You’ll notice the money’s still there. In fact, you aren’t a cent poorer than you were a second ago, when you found out about the great fortune you missed in Crown, Cork, and Seal. This may sound like a ridiculous thing to mention, but I know that some of my fellow investors torture themselves every day by perusing the “ten biggest winners on the New York Stock Exchange” and imagining how much money they’ve lost by not having owned them. The same thing happens with baseball cards, jewelry, furniture, and houses. The worst part about this kind of thinking is that it leads people to try to play catch up by buying stocks they shouldn’t buy, if only to protect themselves from losing more than they’ve already “lost.” This usually results in real losses. Shun luxury, shun good fortune that makes men weak and causes their minds to grow sodden, and, unless something happens to remind them of their human lot, they waste away, lulled to sleep, as it were, in a drunkenness that has no end.... Although all things in excess bring harm, the greatest danger comes from excessive good fortune: it stirs the brain, invites the mind to entertain idle fancies, and shrouds in thick fog the distinction between falsehood and truth. A fast-growing company doesn’t necessarily have to belong to a fast-growing industry.. These are among my favorite investments: small, aggressive new enterprises that grow at 20 to 25 percent a year. If you choose wisely, this is the land of the 10- to 40-baggers, and even the 200-baggers. With a small portfolio, one or two of these can make a career. A fast-growing company doesn’t necessarily have to belong to a fast-growing industry. As a matter of fact, I’d rather it didn’t, as you’ll see in Chapter 8. All it needs is the room to expand within a slow-growing industry. Beer is a slow-growing industry, but Anheuser-Busch has been a fast grower by taking over market share, and enticing drinkers of rival brands to switch to theirs. The hotel business grows at only 2 percent a year, but Marriott was able to grow 20 percent by capturing a larger segment of that market over the last decade. The same thing happened to Taco Bell in the fast-food business, Walmart in the general store business, and The Gap in the retail clothing business. These upstart enterprises learned to succeed in one place, and then to duplicate the winning formula over and over, mall by mall, city by city. The expansion into new markets results in the phenomenal acceleration in earnings that drives the stock price to giddy heights. For those who prefer audio, it looks like Charlie Munger: The Complete Investor is now available as an audiobook. The feverish pace of global deal making is spreading to yet another industry: insurance. Deal makers don’t expect the pace to slacken any time soon. A mix of impending new capital requirements, flagging profit growth and low investment returns has led insurance companies to turn to consolidation to try to cut costs and improve profitability. Across the globe, $103.2 billion worth of insurance deals have taken place so far this year, more than double the value compared with the same period last year, according to data tracker Dealogic. There’s a phenomenon I’ve observed where ideas that seem banal when you’re young acquire increasing significance as you age. Until they become so pregnant with significance that you start experiencing a peculiar sort of loneliness because you cannot communicate them any differently than you used to. At best, you slowly acquire an ability to recognize kindred spirits who attach as much incommunicable significance to an idea as you do. If you’re lucky enough to meet any. A couple of BIS speeches relating to the economies in Canada and Australia. "You got to be very careful if you don’t know where you’re going, because you might not get there." "You can observe a lot just by watching." "I really didn't say everything I said." "It's dèja vu all over again!" "The future ain't what it used to be." "Always go to other people's funerals, otherwise they won't go to yours." There is often a curious distinction between what the scientific community and the general population believe to be true of dire scientific issues, and this skepticism tends to vary markedly across groups. For instance, in the case of climate change, Republicans (conservatives) are especially skeptical of the relevant science, particularly when they are compared with Democrats (liberals). What causes such radical group differences? We suggest, as have previous accounts, that this phenomenon is often motivated. However, the source of this motivation is not necessarily an aversion to the problem, per se, but an aversion to the solutions associated with the problem. This difference in underlying process holds important implications for understanding, predicting, and influencing motivated skepticism. In an interview with the Financial Times, Mr Burbank said years of QE had caused a misallocation of capital across the world, while the end of QE last year triggered a dollar rally with consequences that were only now beginning to be realised. “The wrong people got the capital — emerging markets countries and corporates and a lot of cyclical companies like mining and energy, particularly shale companies — and this is now a major problem for the credit markets,” he said. “All of that turmoil around the world will come back and slow down capex and hiring and consumer buying in the US, and that will make the Fed realise they should be easing and not hiking,” he said. In this short video, Nassim Taleb, author of The Black Swan, Fooled by Randomness and Antifragile, introduces the concept of Antifragile to the Theory of Constraints International Conference held in Capetown South Africa from 6-9 Sep 2015. The theme of the conference was how to use Theory of Constraints to transform organizations and people from Fragile (harmed by volatility) to Robust (not harmed by volatility) to Antifragile (benefit from volatility). If you examine the 2000-2002 period, you’ll notice that the market responded to Fed easing by losing value, on average, as it did again during the 2007-2009 collapse. However, in the 2000-2002 collapse, most of the overall market damage was in periods that fell outside the 4-week period after a Fed move. In contrast, some of the most severe market losses during the 2007-2009 global financial crisis occurred immediately on the heels of Federal Reserve easing moves. Indeed, the S&P 500 lost over 40% of its value in a 12-week period between September-November 2008 as the Fed continued to frantically cut rates – an easing cycle that began several weeks before the 2007 market peak. Many investors seem to be hoping for QE4. They should be careful what they wish for, because in an environment of investor risk-aversion, the initiation of QE4 would very likely be associated with an outcome much like 2008 – it would likely be a response to unexpected economic deterioration. Unlike most of the period since 2009, investors no longer appear to have the risk-seeking preferences that supported speculation during previous bouts of QE. Since the third quarter of 2014, market internals have been decidedly unfavorable on our measures, as has the expected market return/risk profile that we classify on the basis of observable data. These shifts indicate that investors have subtly shifted from risk-seeking preferences to risk-averse preferences. Book of the day: The Prize: Who's in Charge of America's Schools? The purpose of this book is not to point out every way such money can be made. Rather it is to point out the best way. By the best way is meant the greatest total profit for the least risk. The type of accounting-statistical activity which the general public seems to visualize as the heart of successful investing will, if enough effort be given it, turn up some apparent bargains. Some of these may be real bargains. In the case of others there may be such acute business troubles lying ahead, yet not discernible from a purely statistical study, that instead of being bargains they are actually selling at prices which in a few years will have proven to be very high. Meanwhile, in the case of even the genuine bargain, the degree by which it is undervalued is usually somewhat limited. The time it takes to get adjusted to its true value is frequently considerable. So far as I have been able to observe, this means that over a time sufficient to give a fair comparison—say five years—the most skilled statistical bargain hunter ends up with a profit which is but a small part of the profit attained by those using reasonable intelligence in appraising the business characteristics of superbly managed growth companies. This, of course, is after charging the growth-stock investor with losses on ventures which did not turn out as expected, and charging the bargain hunter for a proportionate amount of bargains that just didn't turn out. The reason why the growth stocks do so much better is that they seem to show gains in value in the hundreds of per cent each decade. In contrast, it is an unusual bargain that is as much as 50 per cent undervalued. The cumulative effect of this simple arithmetic should be obvious. It is the nature of business that in even the best-run companies unexpected difficulties, profit squeezes, and unfavorable shifts in demand for their products will at times occur. Furthermore, the companies into which the investor should be buying if greatest gains are to occur are companies which over the years will constantly, through the efforts of technical research, be trying to produce and sell new products and new processes. By the law of averages, some of these are bound to be costly failures. Others will have unexpected delays and heartbreaking expenses during the early period of plant shake-down. For months on end, such extra and unbudgeted costs will spoil the most carefully laid profit forecasts for the business as a whole. Such disappointments are an inevitable part of even the most successful business. If met forthrightly and with good judgment, they are merely one of the costs of eventual success. They are frequently a sign of strength rather than weakness in a company. How a management reacts to such matters can be a valuable clue to the investor. The management that does not report as freely when things are going badly as when they are going well usually “clams up” in this way for one of several rather significant reasons. It may not have a program worked out to solve the unanticipated difficulty. It may have become panicky. It may not have an adequate sense of responsibility to its stockholders, seeing no reason why it should report more than what may seem expedient at the moment. In any event, the investor will do well to exclude from investment any company that withholds or tries to hide bad news. U.S. energy companies have defied financial gravity for more than a year, borrowing and spending billions of dollars to pump oil, even as crude prices plummeted. Until now. The oil patch is expected to finally face a financial reckoning, experts say, with carnage occurring as early as this month. One trigger: Smaller drillers are bracing for cuts to their credit lines in October as banks re-evaluate how much energy companies’ oil and gas properties are worth. But with oil trading below $45 a barrel, bigger oil outfits are struggling to stay profitable, too. I'm not sure how I missed this earlier this year, but better late than never I suppose. In short, my view is that activist Fed policy is both ineffective and reckless (and the historical data bears this out), and that the Federal Reserve has pushed the financial markets to a precipice from which no gentle retreat is ultimately likely. Similar precipices, such as 1929 and 2000, and even lesser precipices like 1906, 1937, 1973 and 2007 have always had unfortunate endings (see All Their Eggs in Janet’s Basket for a review). A quarter-point hike will not cause anything. The causes are already baked in the cake. A rate hike may be a trigger with respect to timing, but that’s all. History suggests we should place our attention on valuations and market internals in any event. Therefore, if investment is limited to outstanding situations, what really matters is whether the company's cash plus further borrowing ability is sufficient to take care of the capital needed to exploit the prospects of the next several years. If it is, and if the company is willing to borrow to the limit of prudence, the common stock investor need have no concern as to the more distant future. If the investor has properly appraised the situation, any equity financing that might be done some years ahead will be at prices so much higher than present levels that he need not be concerned. This is because the near-term financing will have produced enough increase in earnings, by the time still further financing is needed some years hence, to have brought the stock to a substantially higher price level. If this borrowing power is not now sufficient, however, equity financing becomes necessary. In this case, the attractiveness of the investment depends on careful calculations as to how much the dilution resulting from the greater number of shares to be outstanding will cut into the benefits to the present common stockholder that will result from the increased earnings this financing makes possible. This equity dilution is just as mathematically calculable when the dilution occurs through the issuance of senior securities with conversion features as when it occurs through the issuance of straight common stock. This is because such conversion features are usually exercisable at some moderate level above the market price at the time of issuance—usually from 10 to 20 per cent. Since the investor should never be interested in small gains of 10 to 20 per cent, but rather in gains which over a period of years will be closer to ten or a hundred times this amount, the conversion price can usually be ignored and the dilution calculated upon the basis of complete conversion of the new senior issue. In other words, it is well to consider that all senior convertible issues have been converted and that all warrants, options, etc., have been exercised when calculating the real number of common shares outstanding. If equity financing will be occurring within several years of the time of common stock purchase, and if this equity financing will leave common stockholders with only a small increase in subsequent per-share earnings, only one conclusion is justifiable. This is that the company has a management with sufficiently poor financial judgment to make the common stock undesirable for worthwhile investment. When Ajit Jain can’t see value in reinsurance, investors across the industry should worry. The man who runs Warren Buffett’s reinsurance business told The Wall Street Journal this summer that Berkshire Hathaway would be putting more money into normal commercial and retail insurance instead. Mr. Jain’s views are almost as influential among reinsurers as Mr. Buffett’s are among investors. There is of course a chance his words could be mischievous: an attempt to influence rivals’ strategies. But there are profound industry changes afoot that look set to suppress reinsurance rates and returns for years to come. If from the very top on down, each level of executives is not given real authority to carry out assigned duties in as ingenious and efficient a manner as each individual's ability will permit, good executive material becomes much like healthy young animals so caged in that they cannot exercise. They do not develop their faculties because they just do not have enough opportunity to use them. “If cars are better—and they clearly are—drivers must be worse (adjusted for mileage),” Mr. Buffett said in an email. Given that mileage is up only around 3%, Mr. Buffett said he found it hard to draw any other inference from the data than distracted driving to explain the much larger jump in fatalities this year. Benjamin Wey, a Wall Street financier who helped numerous Chinese companies get access to U.S. markets through “reverse mergers,” was arrested Thursday and charged with manipulating the companies’ shares to allegedly net himself tens of millions of dollars in illegal profits. In 2011, as I was putting the finishing touches on my book The Most Important Thing, I was fortunate to have one of my occasional lunches with Charlie Munger. As it ended and I got up to go, he said something about investing that I keep going back to: "It's not supposed to be easy. Anyone who finds it easy is stupid." 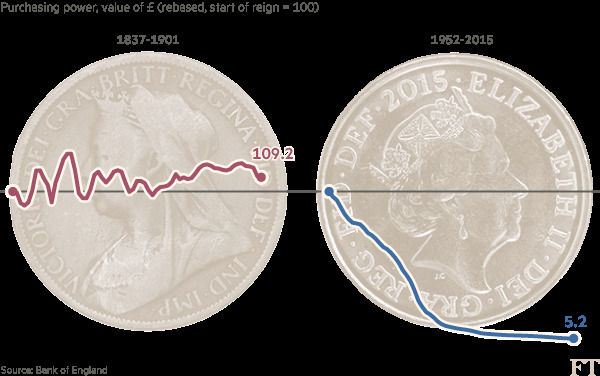 One area in which the Victorians definitely had the edge over the Elizabethans was in the value of the pound. Price rose in the 19th century, of course, but there were also times when they fell back — and prices were often dependent on how good the harvest was in any given year. A new, and global, phenomenon was the persistent rise in prices seen from the 1970s until the 1990s. 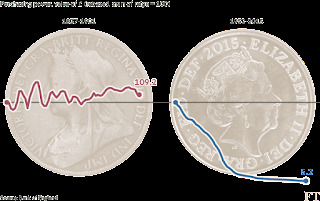 Average prices are now some 1,820 per cent higher than in 1952, equating to 4.8% inflation per year since then. Professor Bakshi has also posted a transcript of his talk HERE. From the standpoint of the investor, sales are only of value when and if they lead to increased profits. All the sales growth in the world won't produce the right type of investment vehicle if, over the years, profits do not grow correspondingly. The first step in examining profits is to study a company's profit margin, that is, to determine the number of cents of each dollar of sales that is brought down to operating profit. The wide variation between different companies, even those in the same industry, will immediately become apparent. Such a study should be made, not for a single year, but for a series of years. It then becomes evident that nearly all companies have broader profit margins—as well as greater total dollar profits—in years when an industry is unusually prosperous. However, it also becomes clear that the marginal companies—that is, those with the smaller profit margins—nearly always increase their profit margins by a considerably greater percentage in the good years than do the lower-cost companies, whose profit margins also get better but not to so great a degree. This usually causes the weaker companies to show a greater percentage increase in earnings in a year of abnormally good business than do the stronger companies in the same field. However, it should also be remembered that these earnings will decline correspondingly more rapidly when the business tide turns. For this reason I believe that the greatest long-range investment profits are never obtained by investing in marginal companies. The only reason for considering a long-range investment in a company with an abnormally low profit margin is that there might be strong indications that a fundamental change is taking place within the company. This would be such that the improvement in profit margins would be occurring for reasons other than a temporarily expanded volume of business. In other words, the company would not be marginal in the true sense of the word, since the real reason for buying is that efficiency or new products developed within the company have taken it out of the marginal category. When such internal changes are taking place in a corporation which in other respects pretty well qualifies as the right type of long-range investment, it may be an unusually attractive purchase. So why, given these numbers, hasn’t every long-term investor in the world been buying value for the last 50 years, and (eventually) eroding the advantage in doing so? The answer is simple: because they are crazy. They stereotype businesses as either good or bad and then extrapolate endless (and unnecessary) pessimism for the latter. It’s an irrational overreaction. So there you have it. If you want to be the one to make the money all you have to be is slightly less crazy than most other people. Be sane enough to look for value, to buy value, and then wait for that value to come good and your long-term profits are as good as in the bank. That’s the good news. The bad news is that there isn’t much value around at the moment: Société Générale’s Andrew Lapthorne notes that in the US at least “EV/Ebitda ratios have rarely been this high” in the past 20 years. So where do you go? Oliver Sacks, who died from cancer on 30 August, was a neurologist with a difference. He focused on individuals, rather than on populations, and wrote graceful books instead of papers. This collection brings together comment on Sacks’s life and work, and his own writing from the archives of Nature Publishing Group. Hand-in-hand with the exaggeration of the recent decline as a “crash” and “panic” is the exaggeration of investor sentiment as being wildly bearish. The actual shift has been from outright bulls to the “correction” camp, but that’s a rather meaningless shift since anyone but the most ardent bull would characterize current conditions as being at least a market correction. Historically, durable intermediate and cyclical lows are characterized by a significant increase in the number of outright bears. That’s not yet apparent here. Indeed, Investors Intelligence still reports the percentage of bearish investment advisors at just 26.8%. It’s generally true that one doesn’t want to sell stocks into a crash (as I've often observed, once an extremely overvalued market begins to deteriorate internally, the best time to panic is before everyone else does). Still, the recent decline doesn’t nearly qualify as a crash. For the record, those familiar with market history also know that even “don’t sell stocks into a crash ” isn’t universally true. Recall, as an extreme example, that from September 3 to November 13, 1929, the Dow Industrials plunged by -47.9%. The market briefly recovered about half of that loss by early 1930. Even so, it turned out that investors would ultimately wish they had sold at the low of the 1929 crash. By July 8, 1932, the Dow had dropped an additional -79.3% from the November 1929 trough. In any event, the recent market retreat, at its lowest closing point, took the S&P 500 only -12.2% from its high, and at present, the index is down just -9.7% from its highest closing level in history. To call the recent market retreat a “crash” is an offense to informed discussion of the financial markets. According to Franklin, what mattered in business was humility, restraint, and discipline. But today’s Type-A MBAs would find him qualified for little more than a career in middle management. The 2011 Christmas issue of the New Statesman was guest edited by Richard Dawkins. This is his interview with Christopher Hitchens from that issue. It was to be Hitchens' final interview; he died as it was published. A sensation at the time, it is now available to read online for the first time. "Never leave that till tomorrow, which you can do today." What, is it possible thenceforth to be entirely free from fault? No, that is beyond us; but this at least is possible: to strive without cease to avoid committing any fault. For we must be contented if, by never relaxing our attention, we manage to escape a small number of faults. But now, when you say, ‘From tomorrow I’ll pay attention,’ be clear that what you’re really saying is, ‘Today I’ll be shameless, importunate, and mean-spirited; it will lie within the power of others to cause me distress; I’ll lose my temper today; I’ll fall prey to envy.’ See how many evils you’re bringing down on yourself. But if it would be good for you to pay attention tomorrow, how much better it would be to do so today, so that you may be able to achieve the same tomorrow also, and not put it off once again until the following day. To-day itself’s too late; - the wise did yesterday. Curiosity about life and restraint about difficult decisions are part of Munger’s approach to life. Seeking more information about a topic, even though it has no present value to a person, is a natural human drive. One can speculate that having this information has option value. However, the price of too much curiosity can be high. Finding the right balance in things involving tradeoffs like curiosity is a key part of acquiring wisdom. An example of a problem arising from too much curiosity would be a tycoon who is curious to see whether he or she can finally be the person to make a long-term profit in the airline business. There’s an old joke on this plan: “How do you become a millionaire? Start as a billionaire and buy an airline.” Buffett himself jokes that he has a toll-free number he can call which will talk him out of investing in airlines whenever he gets the urge. Curiosity can also cause an investor to engage in too many activities or a business owner to offer too many products and services, but end up failing by offering none. Startup founders can end up repeatedly “pivoting” their business (i.e., changing business models or business categories) into oblivion if they overload on curiosity. At the same time, curiosity can lead to important breakthroughs for a business. Striking the right balance on something like curiosity requires judgment. You might think that the increasing percentage of investor funds managed by professional ("professional"?) money managers would serve as a check on market excess. If you did, you would be seriously wrong. Very few professional investors are willing to give up the joy ride of a roaring U.S. bull market to stand virtually alone against the crowd, selling overvalued securities without reinvesting the proceeds in something also overvalued. The pressures are to remain fully invested in whatever is working, the comfort of consensus serving as the ultimate life preserver for anyone inclined to worry about the downside. As small comfort as it may be, the fact that almost everyone will get clobbered in a market reversal makes remaining fully invested an easy relative performance decision. Isn't this what always happens at the top of historic bull markets? The answer, of course, is of course. Investors and the financial media, always eager to grasp at straws, however slim and brittle, jumped on the year-end shareholder letter of legendary investor Warren Buffett as fodder for the bull case. The Dow immediately rallied 200 points. What Buffett, Chairman of Berkshire Hathaway, said is that at today's level of interest rates, and assuming prevailing levels of corporate profitability, in his view U.S. equities as a whole are not overvalued (and, just as assuredly, not undervalued.) Virtually no one explored his real message, equally prominent, suggesting that today's unprecedented level of corporate profitability may well be unsustainable; future profits may fall far short of today's lofty expectations.